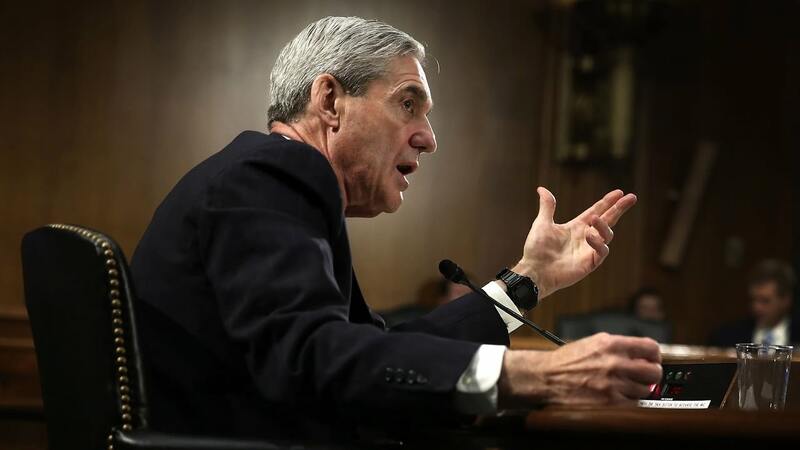 This week, the world learned Special Counsel Robert Mueller’s investigation into Russian interference in the 2016 presidential election has expanded far beyond its initial scope. Reports surfaced of a predawn FBI raid of former Trump campaign chairman Paul Manafort’s home, along with subpoenas issued to various banks. It’s anyone’s guess why Mueller has gone far beyond the initial purpose of his investigation, but a Texas GOP Congressman wants answers. Rep. Brian Babin (R-TX) is asking fellow Congressmen to sign his letter demanding Mueller publicly testify in front of Congress to explain his rationale behind the grossly expanded probe. Babin is chiefly concerned with Mueller’s “conflicts of interest” in connection to Hillary Clinton and the Democrat Party. Babin’s letter, which was obtained by TheDC, was sent out to congressmen Thursday and asks for members to cosign a letter he plans to send to House Judiciary chairman Bob Goodlatte and Senate Judiciary chairman Chuck Grassley. Conservative radio host and best-selling author Michael Savage opened Wednesday’s edition of “The Savage Nation” by giving context to the FBI’s reported-today-breathlessly-by-the-media, actually-occurred-weeks-ago raid on former Trump campaign chairman Paul Manafort’s home. The context Savage provided was in the form of an ominous analysis of Special Counsel Robert Mueller’s modus operandi. That’s a huge story. I mean, come on, this is like the Mafia cases. You don’t know this. I don’t know if many of you know this, but Mueller is a very, very skilled prosecutor. It was Mueller and Comey by the way, mainly Mueller, in his period, where he had the FBI do the biggest Mafia roundups in New York history. And they have a standard operating procedure, which is that they flip people on the bottom and turning them into cooperating witnesses. And once they have a cooperating witness, they bring the next one down and the next one down. There’s no question in my mind that this raid on Manafort, which came out of the blue, is Mueller trying to flip someone, if he hasn’t already flipped someone. Maybe he got someone underneath Manafort who flipped, and they got Manafort. They get Manafort, and Manafort’s gonna flip. It’s gonna go right up the chain. And they’re gonna get … a couple of them as cooperating witnesses. Who knows how many have been wired? Do we know how many visitors to Trump Tower were wired at the time? Do we have any idea? This witch hunt goes on and on and on. Now the big question is this: The big question is: what is the big crime?! What is the crime that was committed by these people around Trump?! We still don’t know what it is, OK? So what’s gonna fall down out of the sky now? This is not the Colombo Family and its bloody internal war. This is not the Gambino Family. What is this? What are they trying to do here? Even before his panting, bodice-ripper of a report came out, Ken Starr was getting dismissed as a partisan Javert. He’s still risible, warning Mueller on CNN Friday that “we do not want investigators and prosecutors out on a fishing expedition.” You know you’re in trouble when Mr. Rod & Reel warns you about going fishing. Mueller is taken seriously as Mr. Clean Marine, a Republican willing to stand on principle even against other Republicans, as when he and James Comey resisted W. on warrantless wiretapping. Mueller is seen as incorruptible, so his conclusions will most likely be seen as unimpeachable.